We have proven solutions allowing the execution of the whole process of post-production – from digitisation of the material after the execution of the emissive tapes. Depending on the type of production and expectations of the client, we develop individual workflow, allowing to optimise the comfort of the work and to minimize the time needed for carrying out the project. Full integration of the Avid Media Composer, Pro Tools and DaVinci Resolve systems as well as implemented network file-sharing solutions make the transition between successive stages of post-production fully flexible. • Efficient single station sets with their own RAID disk array, providing high performance and the ability to work with any HD material. Each assembly room is air-conditioned, where silence is ensured by placing any noise-generating device in the server. Additionally, there are mounting kits operating in the Final Cut Studio and Adobe Premiere environment. 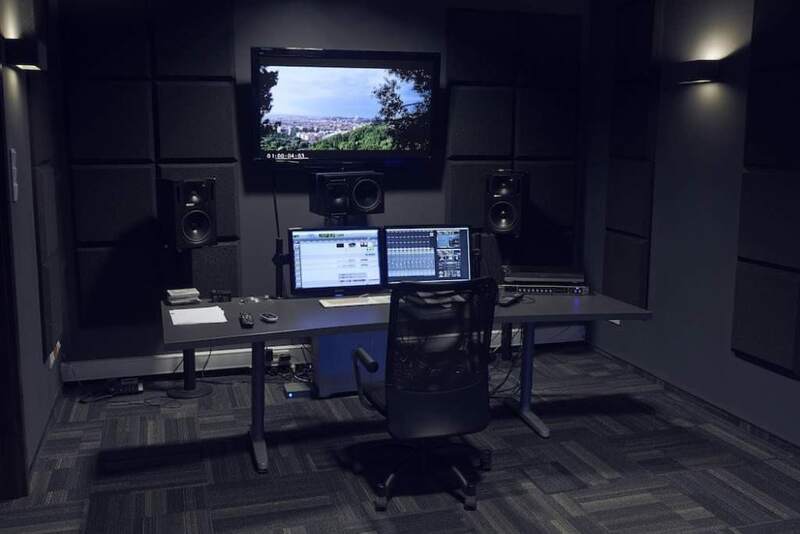 A room for colour correction has been designed so that at the same time it ensures proper working conditions for the colourist and is comfortable for the customer. DaVinci Resolve professional software, Tangent ergonomic panels, a high-class Reference Monitor and an efficient workstation create a kit that allows you to carry out any project, from music videos to feature films. Thanks to modern solutions and continuously adapting products to the needs of the market, DaVinci Resolve allows for comfortable work with any video files in real-time, including direct access to RAW files, as ARRI RAW, RAW RED or Sony RAW. By using the Ultrascope system, we care not only about the visual side of the materials we are working on, but also about meeting all technical standards.